1. 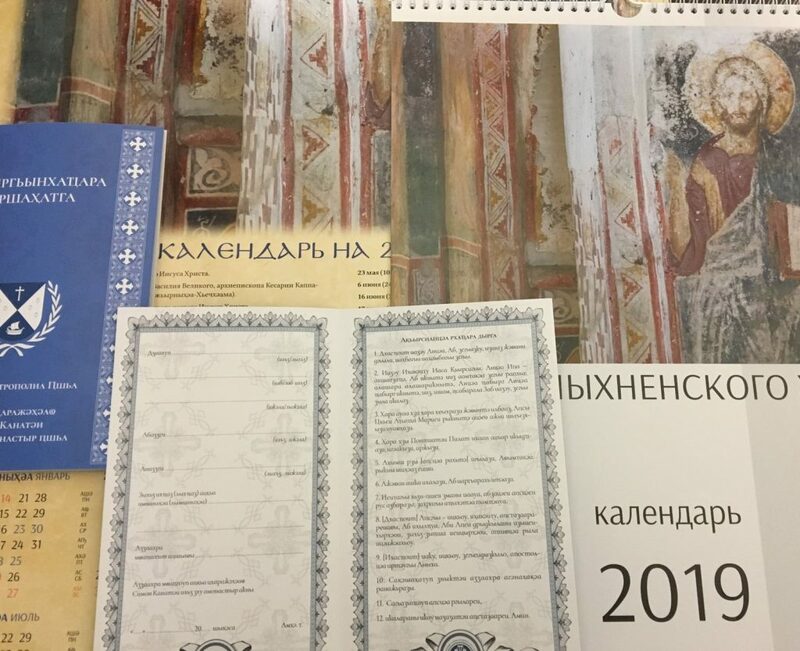 A church wall calendar of HMA “Frescoes of the Likhny Church” for 2019. 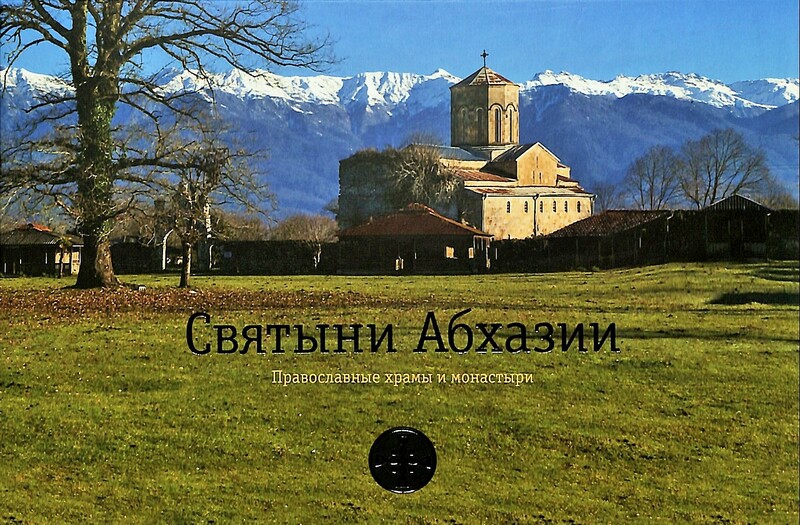 The author of the project and editor is Hierodeacon David (Sarsaniya); the compiler is Archimandrite Dorotheos (Dbar), the photographer is Konstantin Gretsov; design and layout by Georgy Zakhartsev. Circulation – 1000 copies. The calendar was first illustrated with photographs of frescoes of the Lykhny Church (9t-10 centuries). The frescoes in the church dated back to XII-XII centuries. Currently, the church in the village of Likhny is the only one on the territory of Abkhazia where so many frescoes are preserved in a good quality. 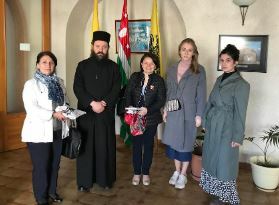 The calendar reflects the dates connected with the Orthodox Church of Abkhazia, as well as the traditions of Abkhazian people’s Christianity. 2. 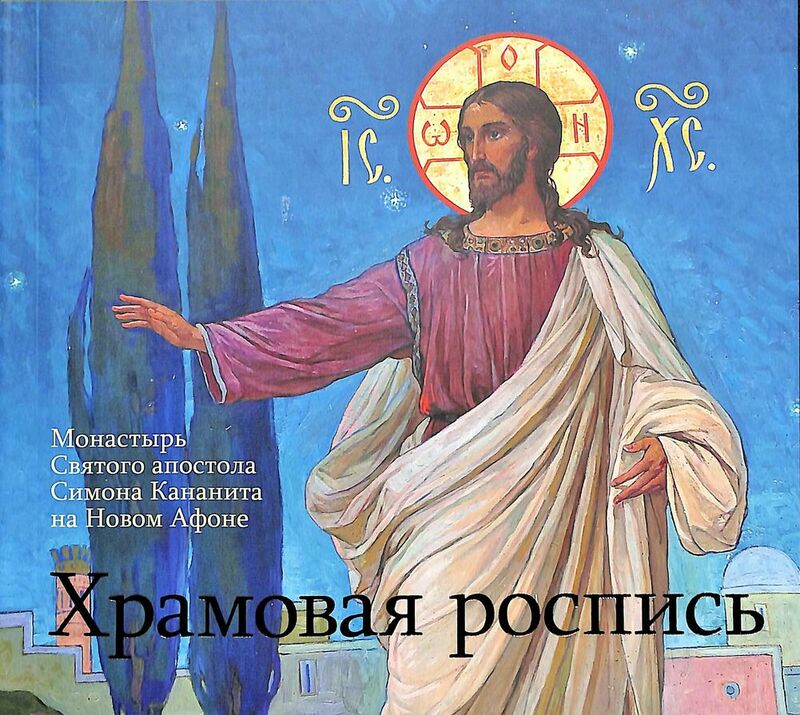 The HMA wall church calendar with the image of the Savior from the frescoes of the Likhny church in 2019. Dimention – A2, circulation – 1000 copies. 3. Certificate of baptism in the Abkhaz language. 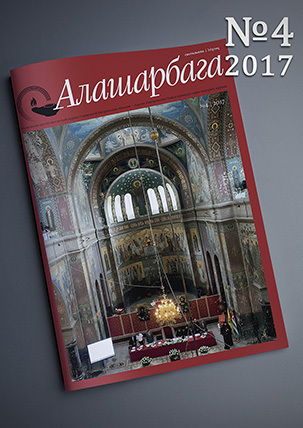 Prepared by Archimandrite Dorotheos (Dbar), design and layout by Georgy Zakhartsev, Akhra Smyr. Circulation – 3000 copies. 3. Certificate of wedding in the Abkhaz language. 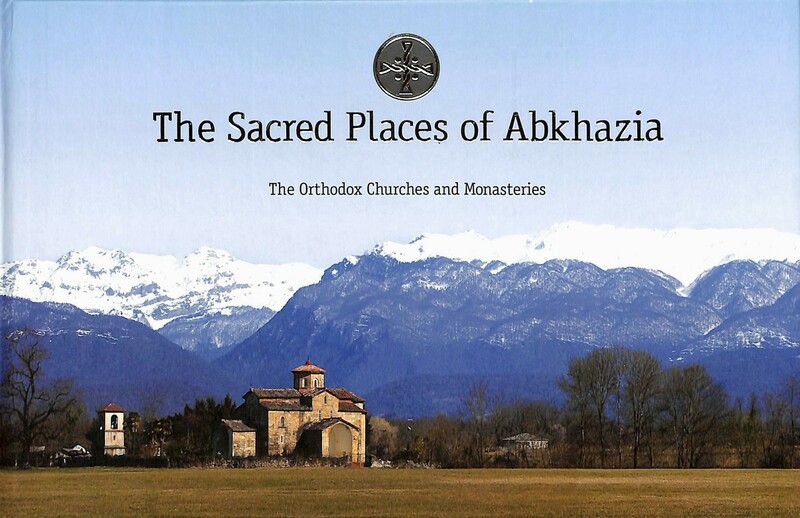 Prepared by Archimandrite Dorotheos (Dbar), design and layout by Georgy Zakhartsev, Akhra Smyr. Circulation – 500 copies.